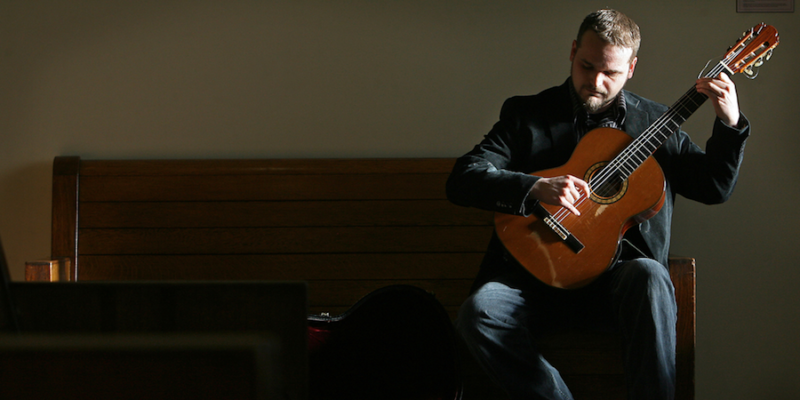 Matt Palmer is a Tennessee native with an extraordinary musical gift. He’s an electric guitarist turned classical and holds degrees from MTSU and Appalachian State and holds a DMA from the University of Arizona. Matt is known for ridiculous scale technique, which he explains in the videos below. I had the privilege to see Matt in concert at the WIU Guitar Festival. The performance was outstanding. Matt’s superior technical skills only serve as a vehicle for him to showcase his mature sense of musicianship and musicality. Be sure to check out his debut CD, Un tiempo fue Italica famosa, which features works by Rodrigo, Turina, Tárrega, Rudnev, Ponce, and Rak. Connect with Matt on Facebook and Youtube. Great interview as always!!! I’ve got a written one coming out next week with Matt as well, glad to see he’s getting some well deserved attention from the online guitar world!